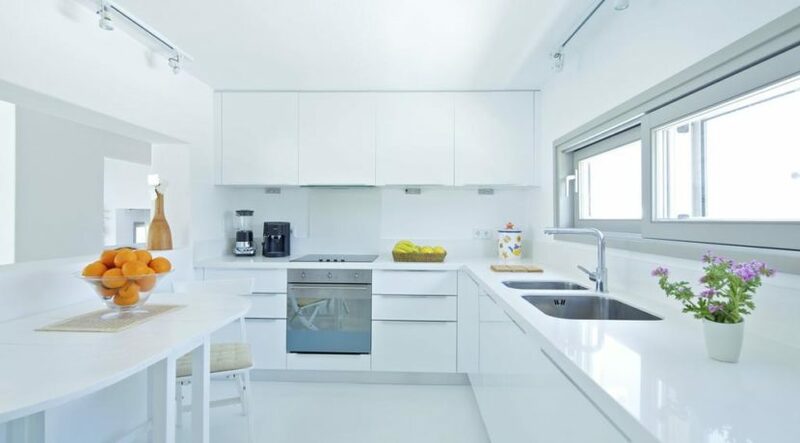 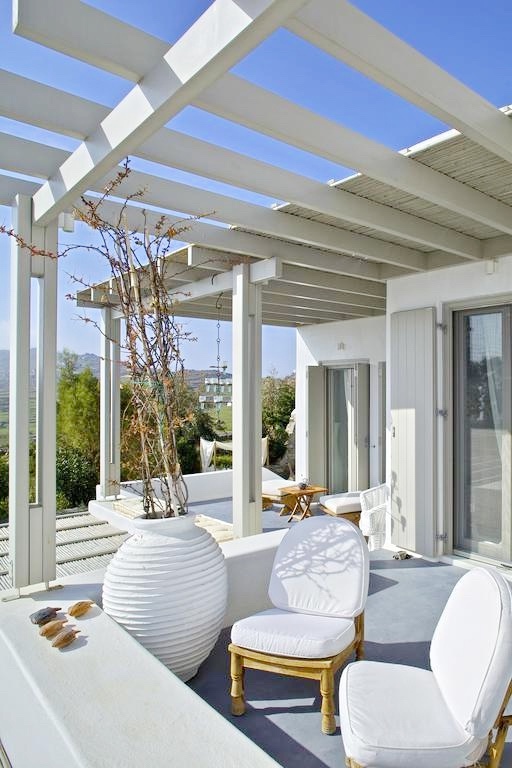 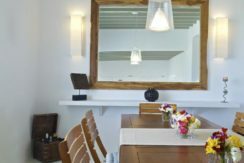 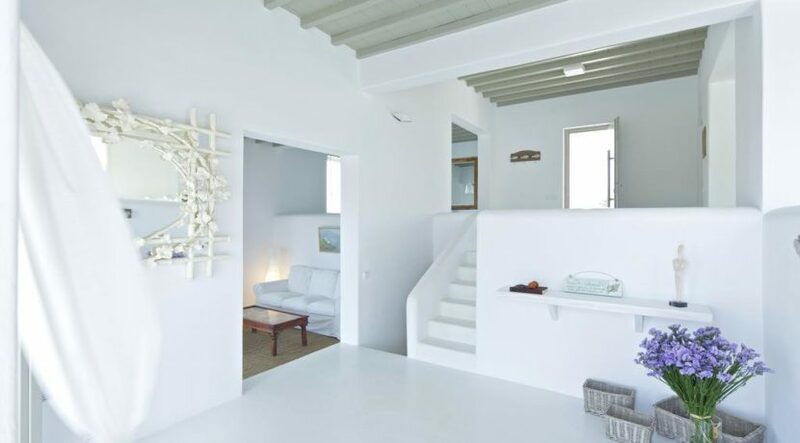 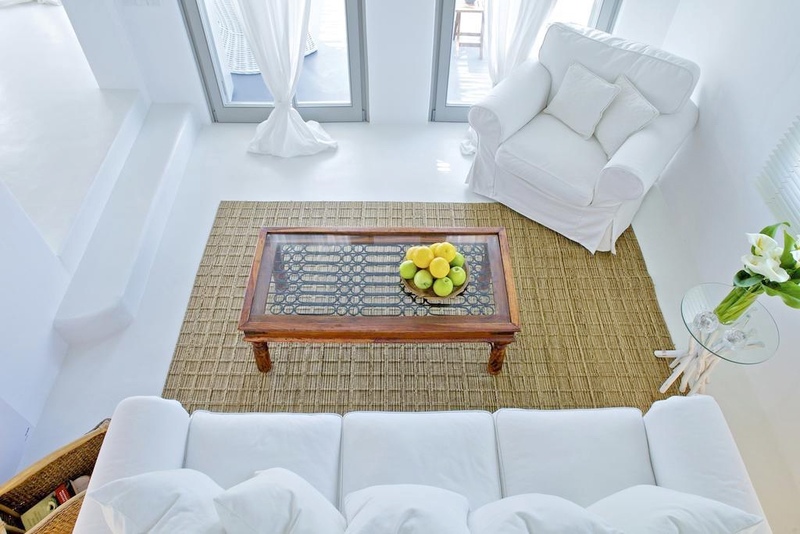 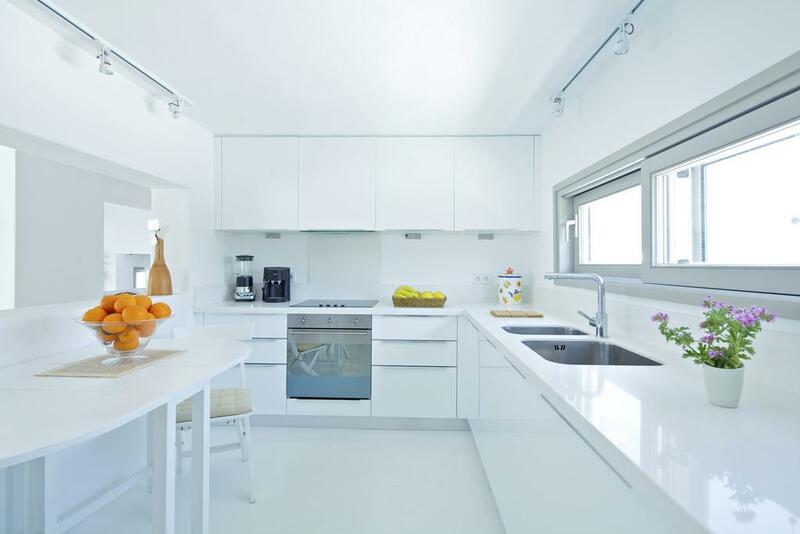 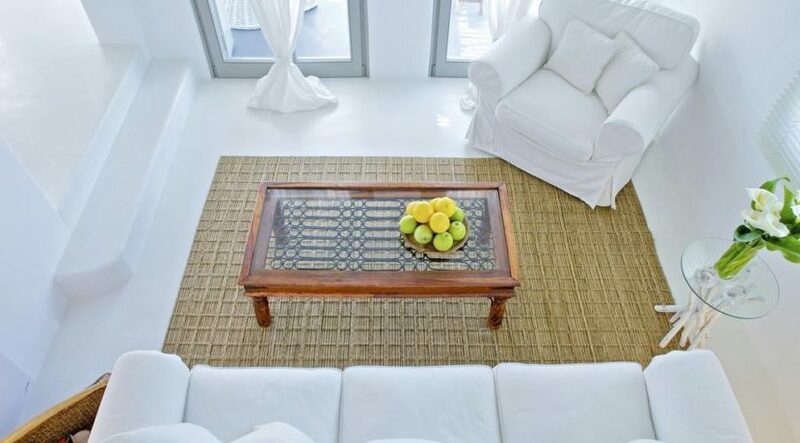 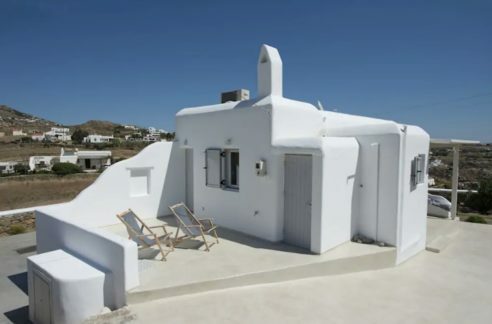 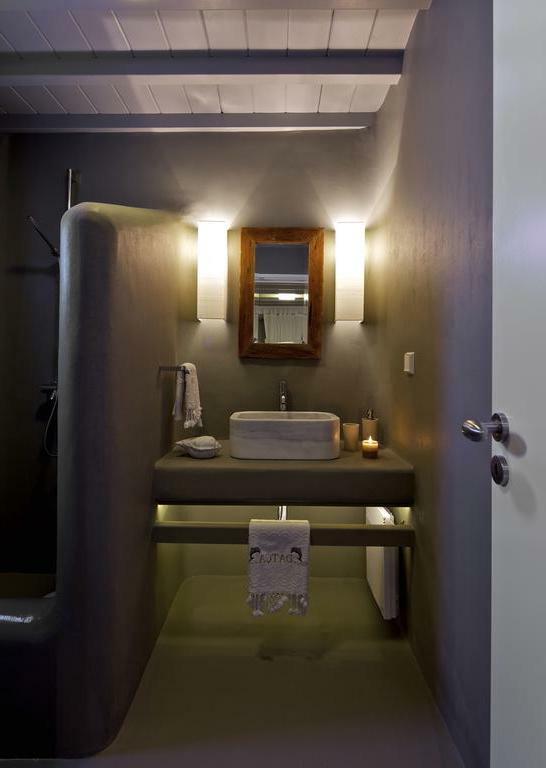 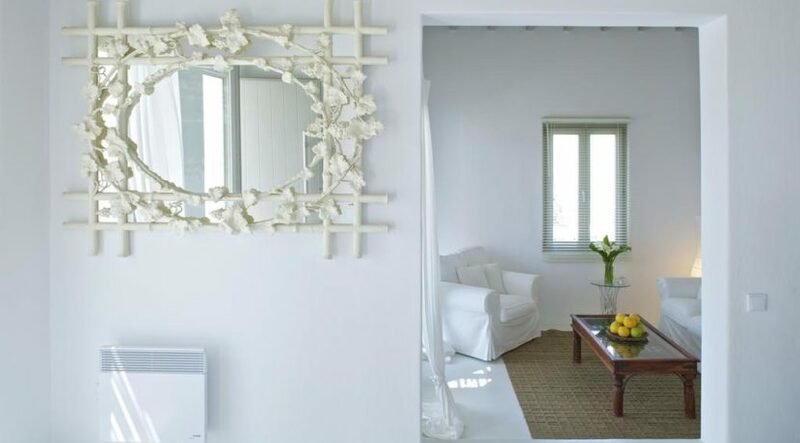 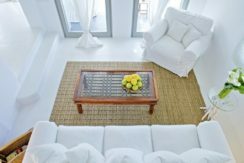 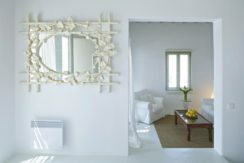 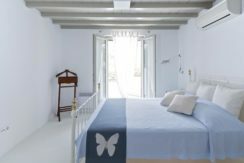 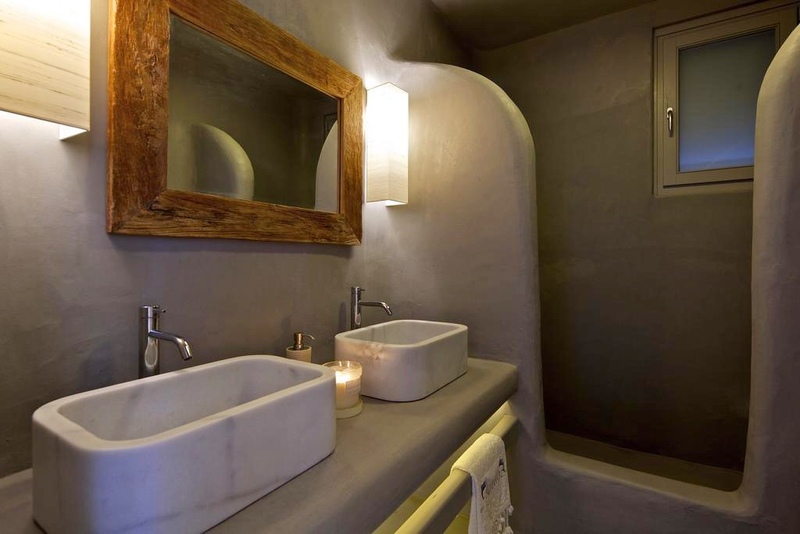 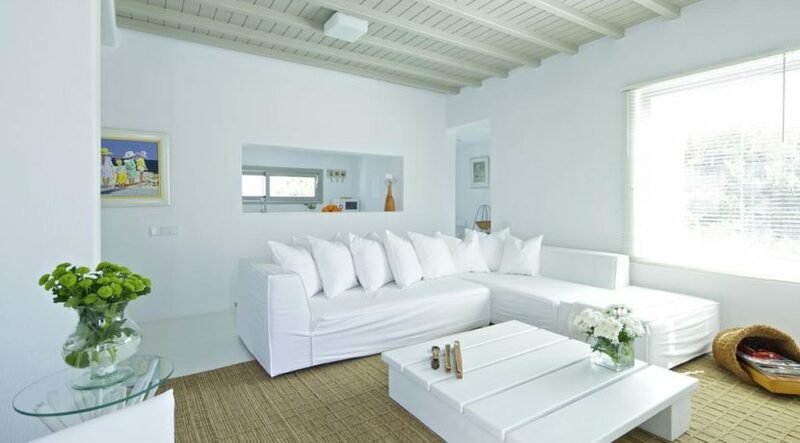 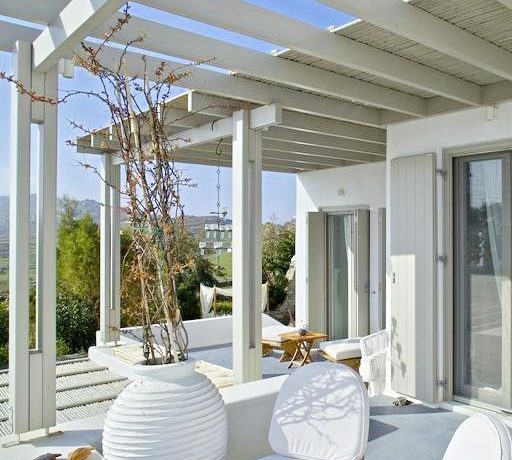 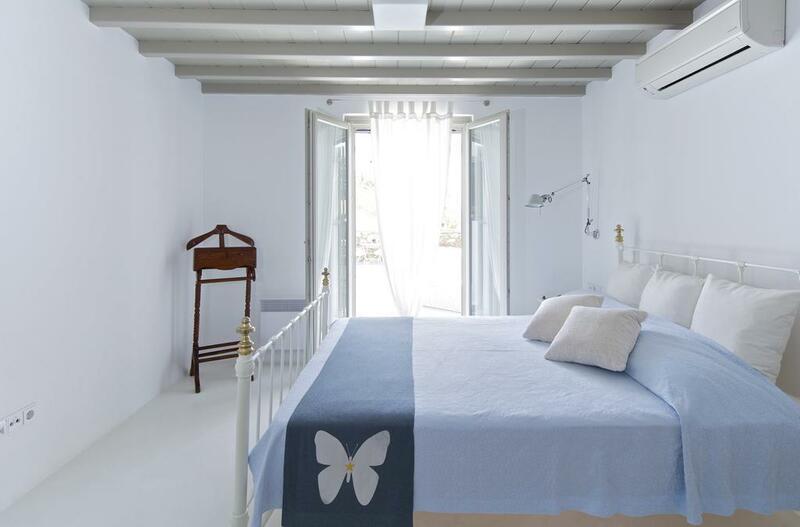 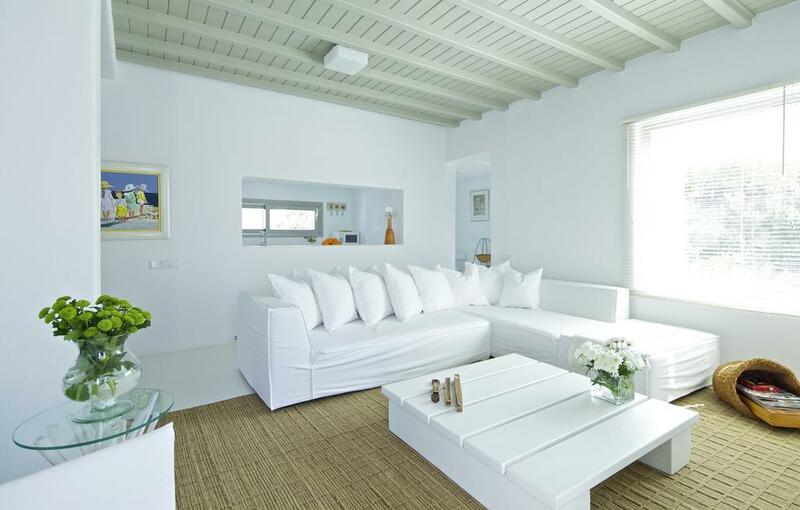 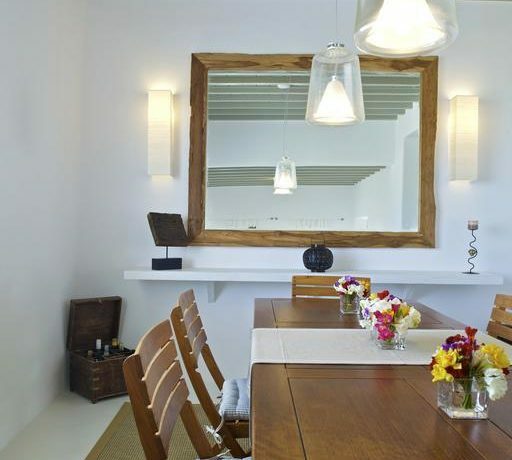 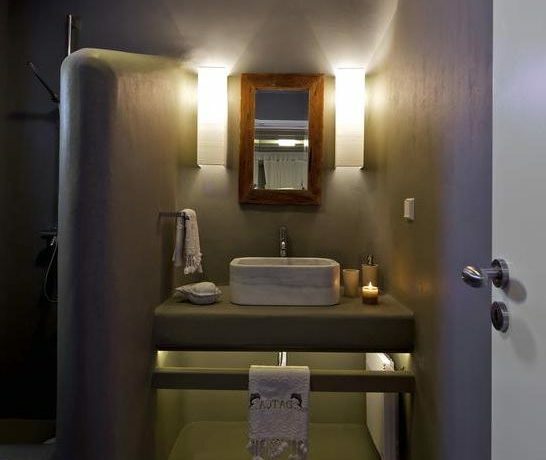 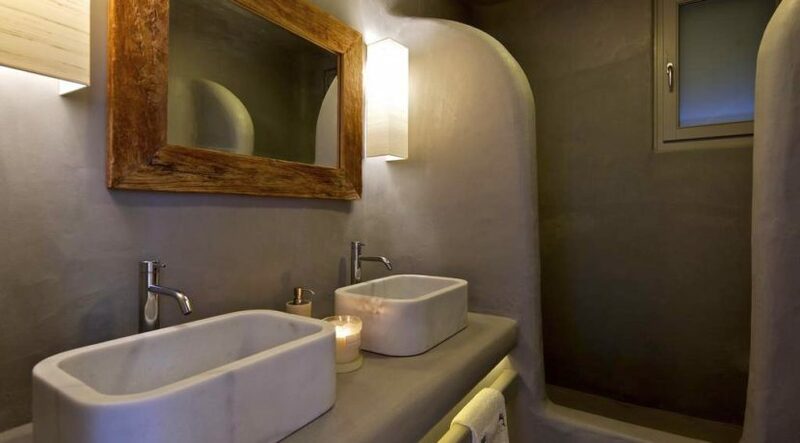 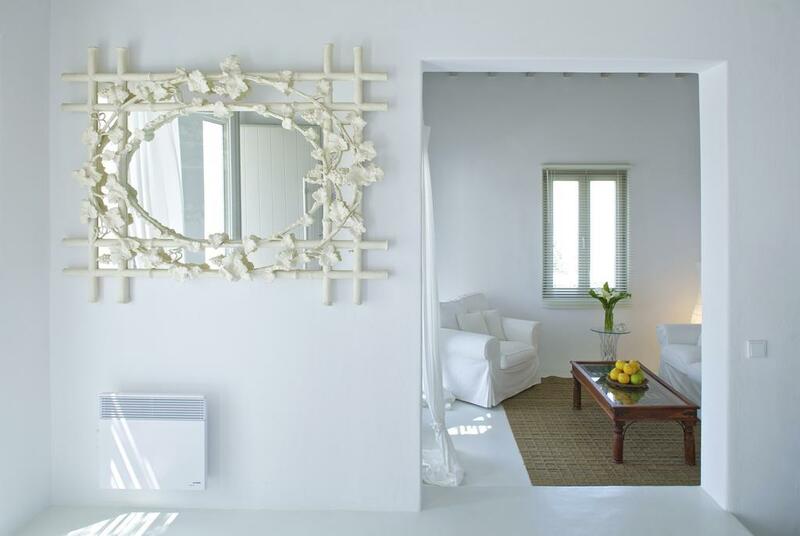 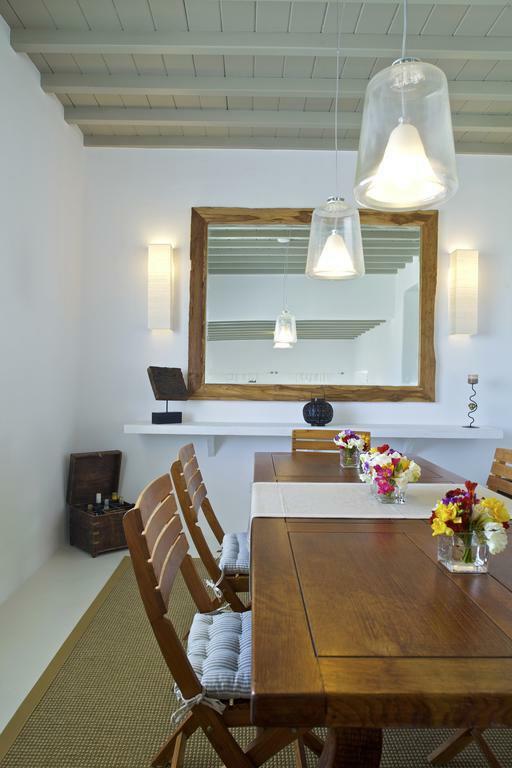 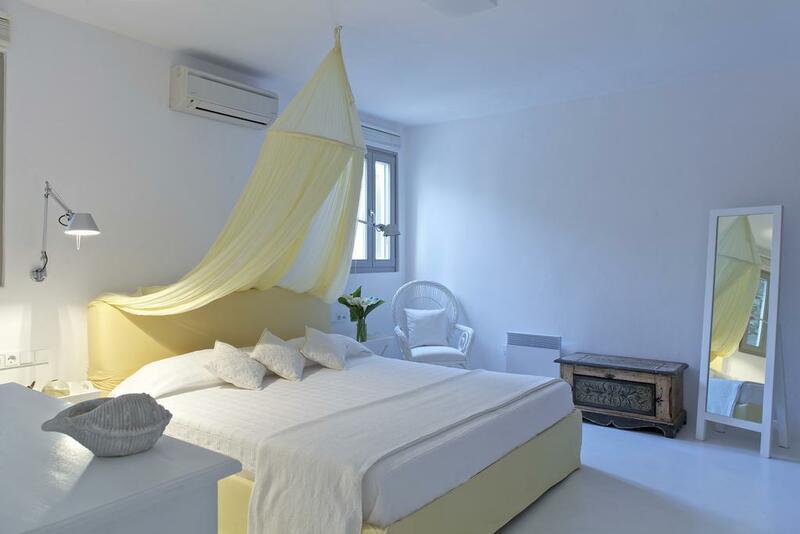 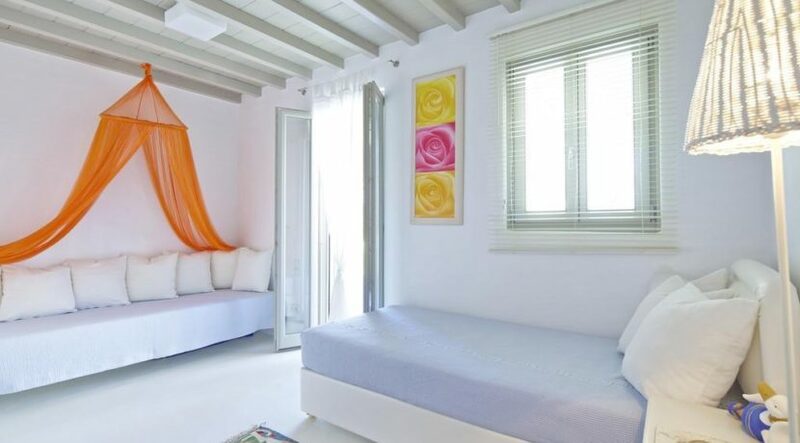 This beautiful villa offers style, comfort and size that are only matched by one of the highest return on investment rates on Mykonos, should you decide to rent it as a vacation house. 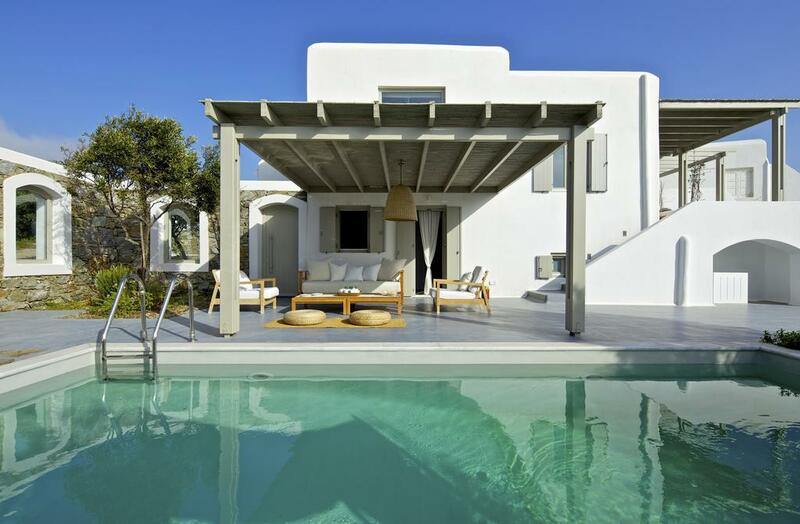 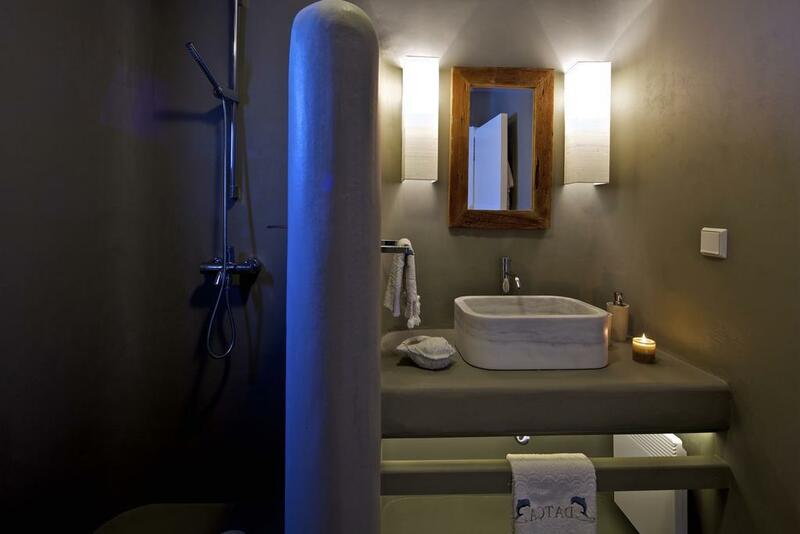 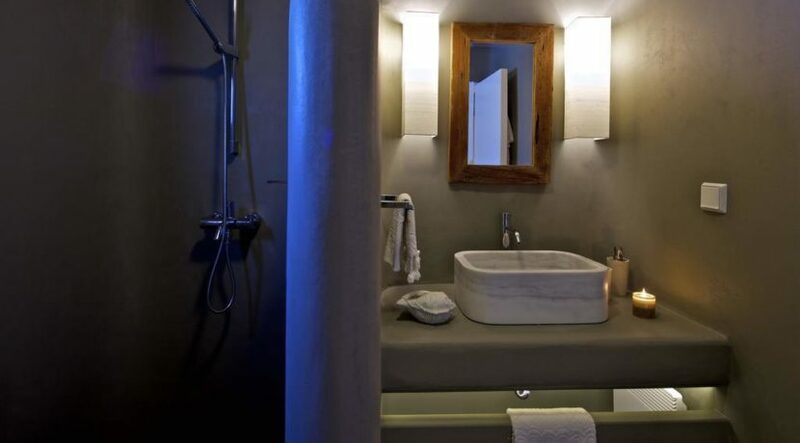 It features a private pool and 4 en-suite bedrooms, sleeping at least 8 guests. 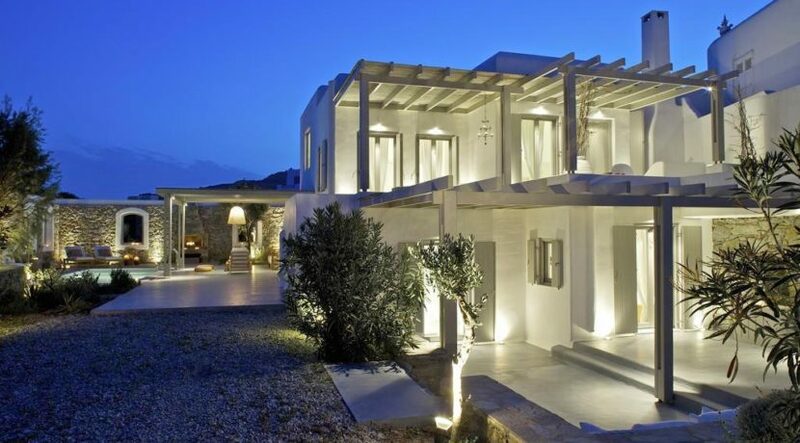 The property lies at the edge of a luxurious complex at Kalafatis bay, about 900m from the beach. 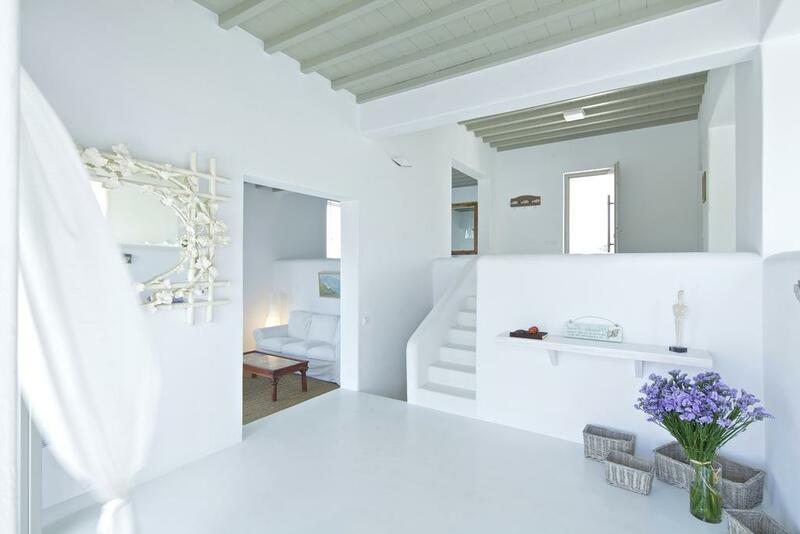 It is divided in 2 levels: the entrance to the upper level passes through the large veranda with views to Kalafatis bay. 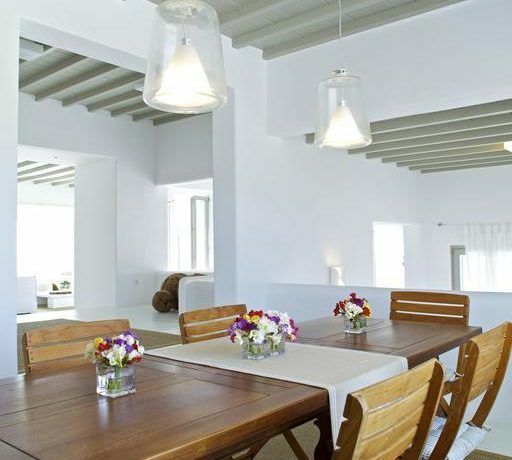 Indoors there is the large living room, next to the kitchen, a smaller living area, a dining area, a guest toilet and storage room. 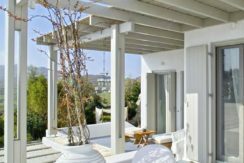 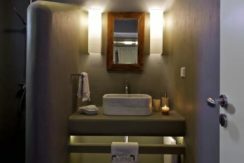 The stairs lead to the ground level that hosts 2 double bedrooms with balcony doors opening to the front yard, a twin bedroom that opens to the pool area and another double bedroom; all bedrooms have en-suite bathrooms. 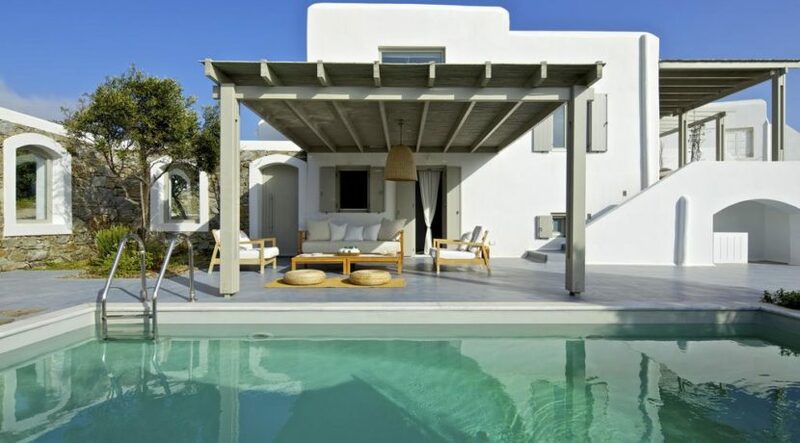 Outdoors there are 3 distinct areas, all partly shaded by wooden pergolas: the upper level veranda, the yard in front of the 2 double bedrooms and the pool area. 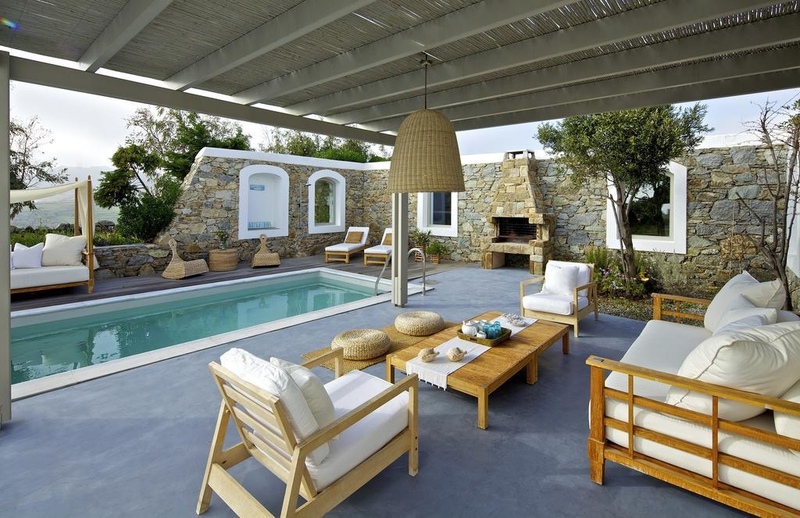 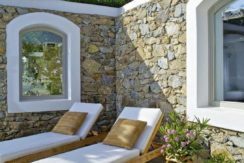 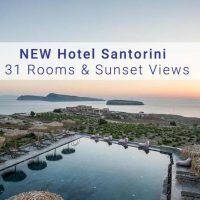 The latter, is the place where you and your guests will likely spend most of your time: sofas, sunbeds, a BBQ and, of course, the pool, provide all you need to relax, eat, drink, play…in other words, enjoy the Greek summer! 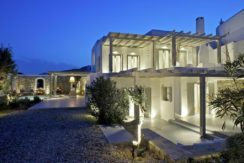 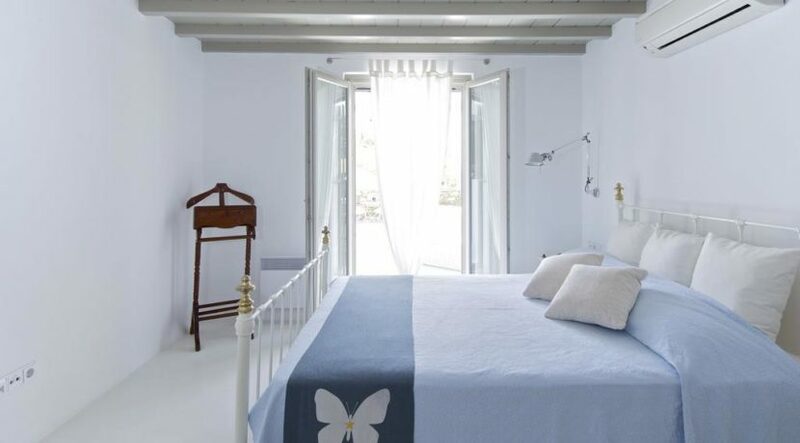 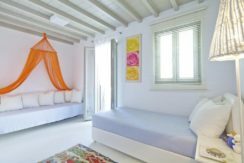 The villa is located a 3 min drive from two of Mykonos distinctive beaches: Kalo Livadi is famous for its hip beach clubs and restaurants, while Kalafatis for the chance to practice scuba diving and wind surfing. 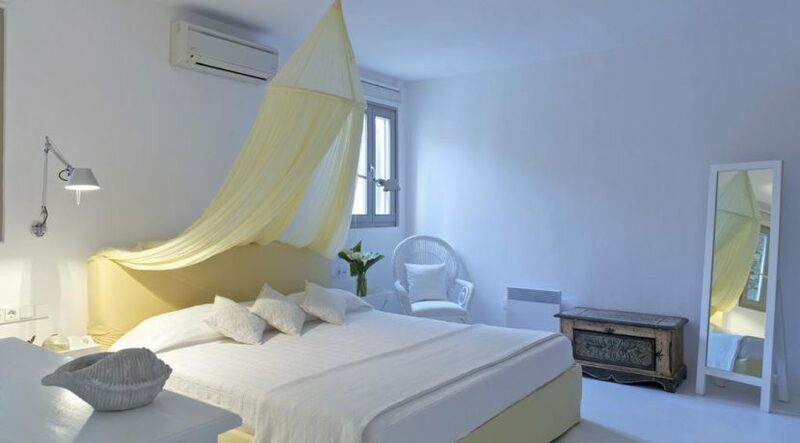 Ano Mera village is a 5min drive away and around its picturesque central square, you will find all you need for your stay: tavernas, coffee shops, bakeries, super & mini markets, a pharmacy, even a small outdoor groceries market. 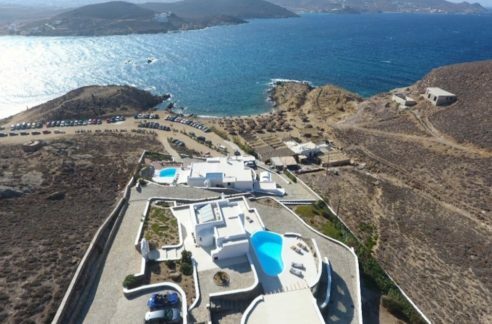 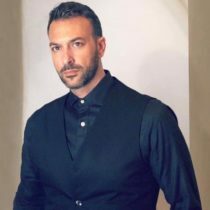 The world famous Mykonos town is a further 10 min drive.